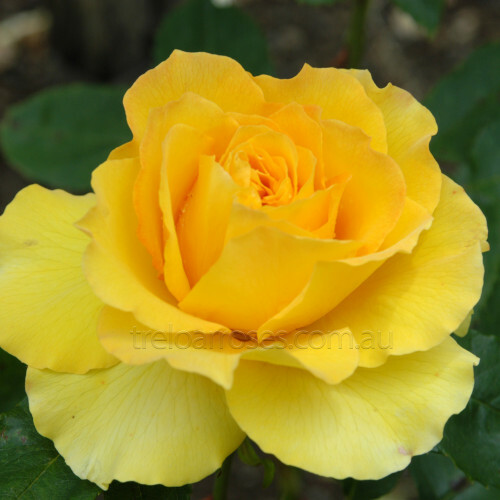 (Welgold) - Released to commemorate the centenary of the Victorian Rose Society in 1999, the first Rose Society in Australia. This Floribunda is capable of growing 60cm to 90cm high and produces double, bright yellow blooms in abundance. 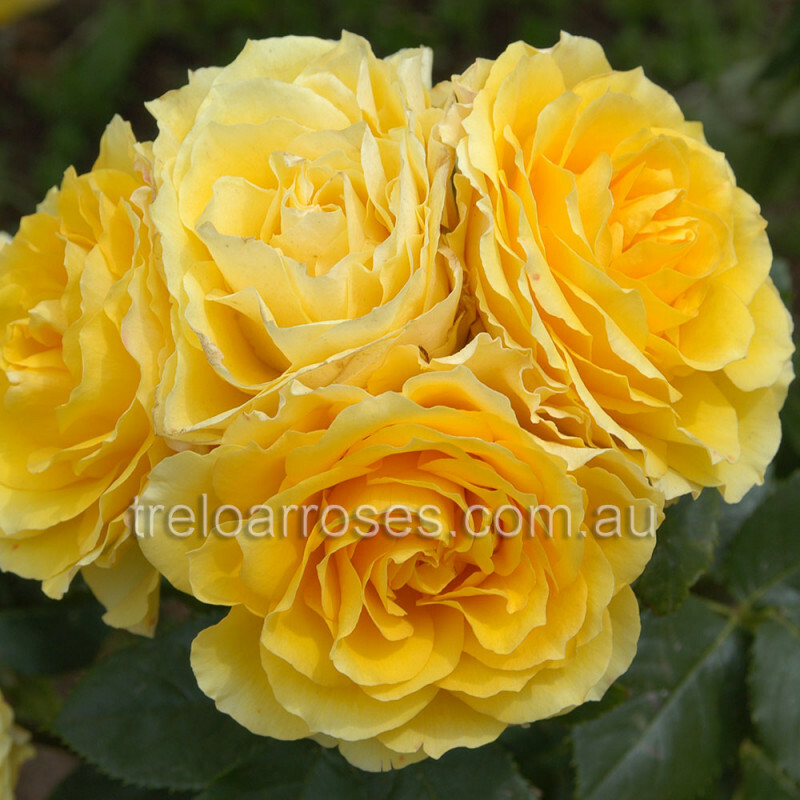 In the cooler months the blooms have a fine red pencil edge. It is well worth growing.